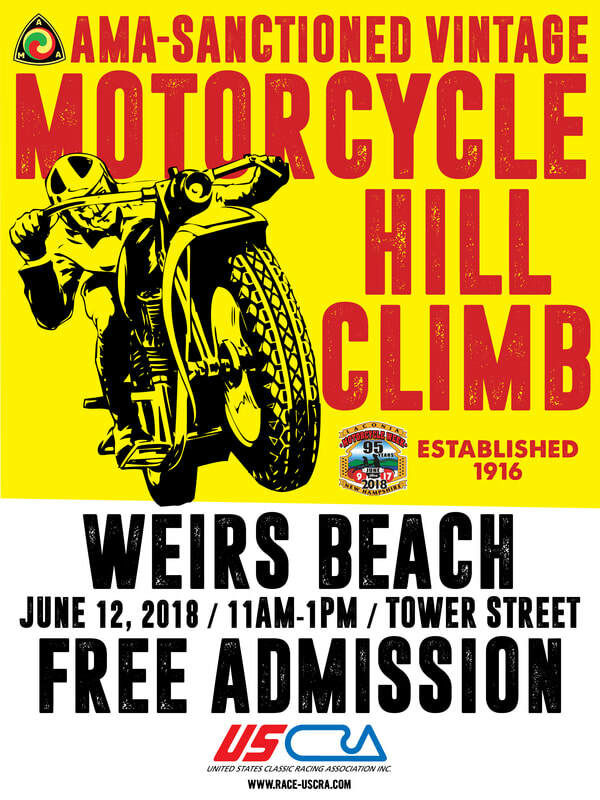 The USCRA, in conjunction with the Laconia Motorcycle Week Association is excited to present the Tower Hill Climb in Weirs Beach, New Hampshire on Tuesday, June 12th, as part of the 95th Annual Laconia Bike Week, June 9-17, 2018. This unique event is an historical exhibition of the original Tower Street Hill Climb, dating back to 1916. There will be a variety of vintage machinery competing, including Vincent, Velocette and tank shift Indians. The event begins at 11am and admission is free. Can't wait to see you there! Who’s got a vintage bike for me to ride? That sounds amazing.